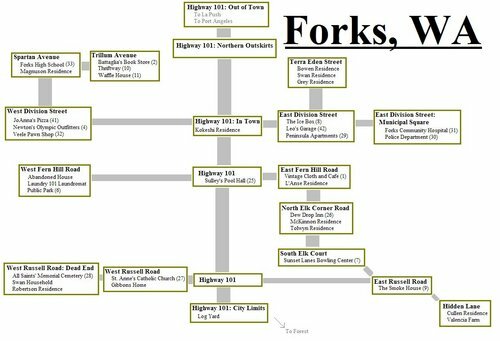 Most of the Twilight series takes place in Forks, as it is the home of Bella, the protagonist, and the Cullens; but by no means does your character's story have to begin in Forks. 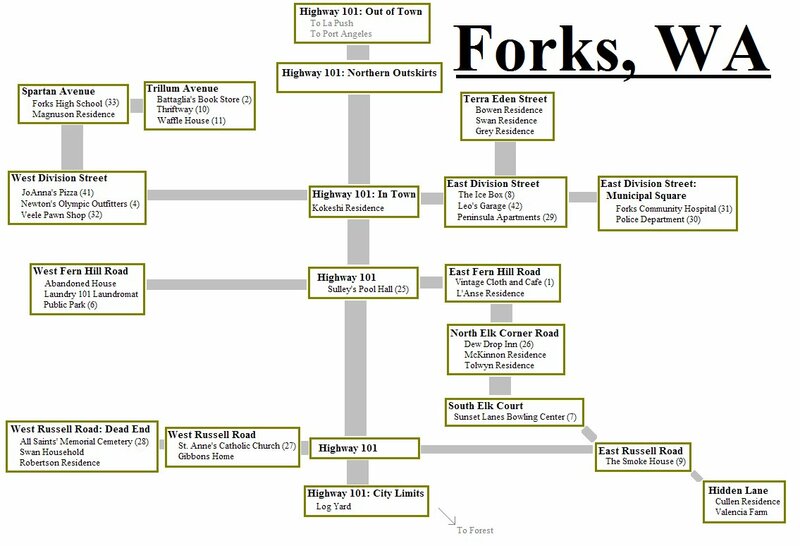 Forks is described as the rainiest town in the United States. The entire area is rather rainy, but Forks is especially prone to showers. If it's not raining in Forks, it's probably cloudy. 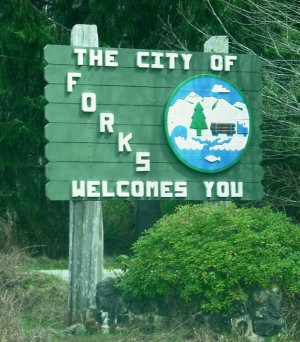 Forks is a small town - it is very likely that many townspeople will know each other if not by name, then by face. The town is surrounded by the forest, and most of the houses are far apart or on the outskirts of town. Because of its size, many young people often complain there's nothing to do in Forks, which may well be true. There's no movie theatre, no mall, and the library is no more than a few book shelves. Most people looking for a good time head over to the beach in La Push or the restaurants and shops in Port Angeles. Click on the map for a larger version. Numbers in () are the +go numbers for those locations.